If you've been following our series of articles about the show book and show order forms, thanks for sticking with us. We're about to see the light at the end of the tunnel. The final form we'll be discussing is the Exhibitor Appointed Contractor form or EAC. One of the most common questions we get regarding trade show service order forms is about electricity. In fact, electrical questions run a close second to questions about the dreaded Material Handling form. Most exhibitors know whether or not they need electrical service to their booth, but beyond that, things begin to get a bit hazy. Electrical orders are actually fairly simple once you determine your needs. Of course, the simplest solution is to rely on your exhibit house. They will be happy to figure out what level of service you need and fill out the forms accordingly. Here's what you need to know to do it yourself. Electrical Provider: First, be aware that you will generally be ordering electrical service directly from the venue where your trade show is taking place. The show decorator (Freeman, GES, etc.) will include the order form in the Show Book, but it will be submitted to the convention center, hotel, or conference center where your show is to be held. Just be sure you submit the form to the venue and not the decorator. So you're all set with your pop-up display, but you want to add a little extra pizzaz, and not sure where you want to start. When it comes to accessories or add-ons for your booth area, you want to make sure you're not detracting from your overall messaging or look. We've compiled a list of items that can either be used in conjunction with your display or on their own, all to help you be unique and stand out at your event. 1. 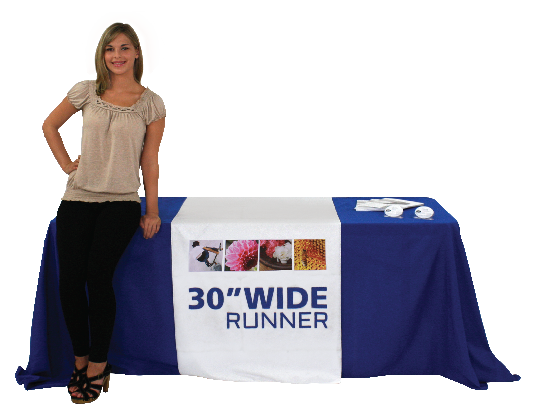 Printed Table Drape or Runner: Printed table drapes and runners come in either dye-sub printed or with a vinyl perma-logo. Vinyl perma-logos are typically best for one color logos, while we would recommend a dye-sub printing process for a multi-color logo. 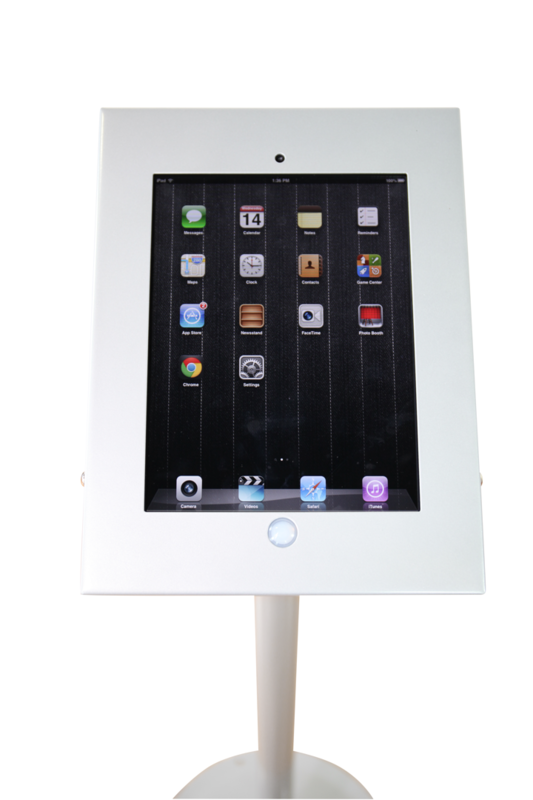 2. iPad Stands: If you have an interactive tech element with your booth, an iPad stand is a great way to showcase that. 3. Breeze Displays: These mini-banner stands set on your table or counter and can be used for specialized messaging or for branding at a smaller event. 4. Literature Racks: Make room on your table or work space by getting a handy literature rack. Some displays come with add-on brochure racks, or you can get a free standing one.